of the Top Notch Car Show 2019. It will take place on September 21st and 22nd 2019, a whole weekend of fun! It's $5000 in cash prizes. Live music, Raffles drawings, 50/50, Foods, Vendors and many more surprises. 8 different classes to register your vehicle, $40 per vehicle registation. Free to the public. 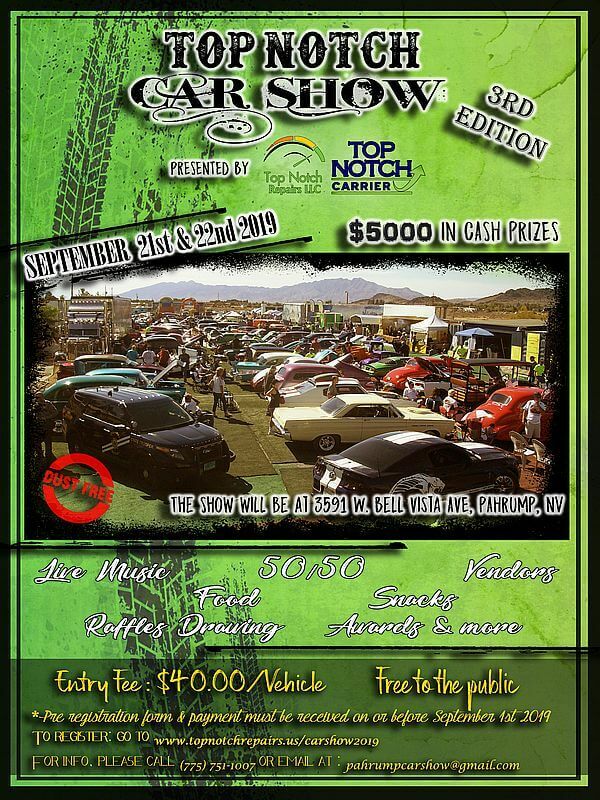 The Top Notch Car Show is growing up!